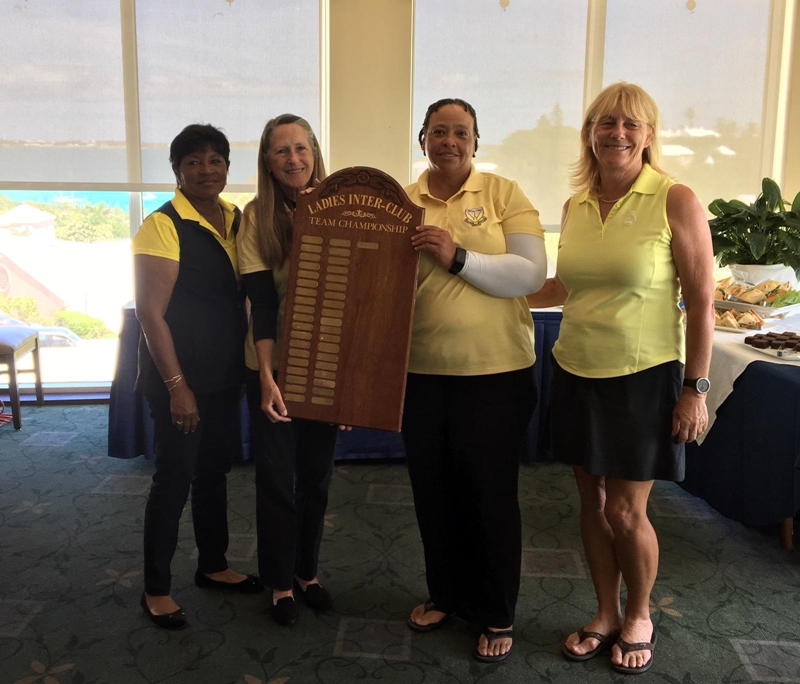 This weekend at the Mid Ocean Golf Club, the Ladies Interclub finals concluded with Ocean View Golf Club ladies taking the Championship title in fine form. 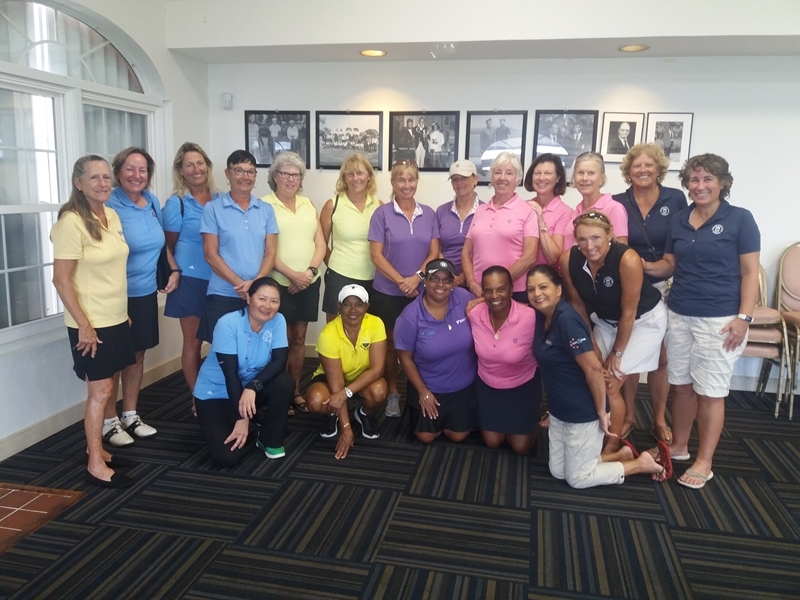 The Ladies Interclub is played between October and April each year since 1981. Each golf club is designated a month to be hosts to the event. A total of 4 players come from each club to contend. The format is net Stableford Points system based on 90% handicap. The net point system is 1 for bogie, 2 for par, 3 for birdie, 4 for eagle, etc. The best 2 scores for each team are totaled. The winning team for the day gets 10 points, 2nd gets 8, 3rd gets 6, 4th gets 4, 5th gets 2. This score is carried over to the next month and the same process is repeated until the final month. Ocean View was leading going into yesterday’s match by only one point and completed victorious. Teams competing were from Belmont Hills, Mid Ocean, Port Royal, Tucker’s Point and Ocean View.